wheeee!, originally uploaded by RachelC. 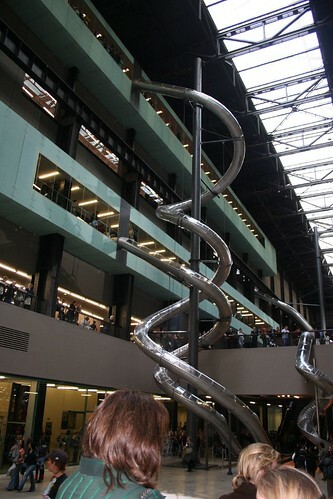 As I find myself unexpectedly in London, I thought I’d go take a look at the slides at Tate Modern. There are 5 alll together, with the longest spiralling down from the 5th floor. Unfortunately by the time I got there, there were no more tickets left for the ride. I’m going to have to go again and get there early.